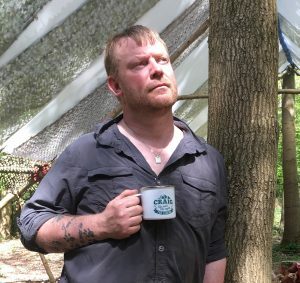 I am a full-time Survival and Bushcraft instructor from Blackwolf Survival & Bushcraft living in Kent. I’ve pretty much spent my life in the great outdoors and have been lucky enough in that time to have travelled to and worked in some pretty amazing places. Of course I’ve always been aware of ticks and the trouble they can cause, but like most people I wasn’t too aware of Lyme disease and the damage it can do. Over the years I’ve advised my students to check for ticks and have given advice on clothing and precautions to take and, if need be, how to safely remove a tick if you find one. I don’t think I’d read too much about the effects of Lyme up until I first read Ray Mears’ autobiography a few years ago where he talks about the constant back pain and numbness and other symptoms that nearly ended his career. Cut to November 2017 and I’m up in North Wales to do some white water canoeing with the legend that is Ray Goodwin. Now, being north Wales in November it’s not exactly sun bathing weather, but it’s nothing I’m not used to in my job, but by the end of day one I’m feeling really cold, I mean shivering, even after a long, hot shower. All my joints ache and I feel like death warmed up. I have to tell Ray that I just can’t continue and will have to cancel the rest of the course. After spending an entire day in bed at the hotel I was staying in and not being able to eat anything I slowly make my way home to Kent after stopping at my sister’s house in Shropshire for a night. Over the next couple of weeks I am no better, it feels a bit like flu but worse; everything hurts and I have no appetite and no energy and have to cancel a fair bit of work I had lined up as I’m just too ill to do anything. Chatting with various colleagues eventually the subject of Lyme comes up as something that may be causing my symptoms. I don’t remember getting bitten specifically by anything but being fair-skinned I do always seem to attract every biting insect in a 5 mile radius around me. So, I ring my local GP and arrange an appointment. I explain to him what I do for a living and that I spend most of my life in and around woodlands all over the UK and beyond. He talks about the classic bull’s-eye rash which I hadn’t had and is therefore a bit dismissive of the idea of Lyme. He does arrange for me to have an MRI on my back as he suspects the pain in my lower back and legs is sciatica and does agree to send me to the hospital for blood tests to be sent off to check for Lyme. By this stage I’m starting to do a little online research and reading many people’s horror stories of being dismissed by their GP and stories of false positive and false negative testing. When I go to the hospital for the blood tests the nurse even says “ooh, I’ll have to find out where we send these, I’ve never dealt with Lyme disease before” and this seems to echo a lot of other people’s experiences. It takes a few weeks to get a call back from the doctor. In the meantime I have my MRI as well. The flu-like symptoms have thankfully subsided but the pain in my back and legs is still intense to the point where some days I needed a stick to help me get around. I’m not sleeping or eating well and I’m generally miserable. When I do get the call from the doctor he tells me my test results show that I have tested positive for several strains of the bacteria and that it also shows that it’s not a new infection, it could well have been in my system for a long time. So, I take my 2 week course of antibiotics and, as expected, it doesn’t really do much. Looking back over the last few years my wife and I recall that every time I get any sort of illness or bug it really knocks me for six. A simple cold could lay me up for a few days and a chest infection I picked up after a winter trip to Norway caused me to cough until I regularly vomited for months. Headaches had turned into excruciating migraines and regular pain in various joints. I had put a lot of this down to doing a very physical job and generally getting older. At 44 I’m not quite as fit and bouncy as I was at 24, that’s for sure! We also look at the places I’ve been over the last few years and recall me running a course in southern France in 2016. The Alps, not far from Nice, is a real hotspot for ticks and Lyme. While I was there I pulled a few ticks out of a lady’s dog but didn’t notice anything specifically on me, even so it’s likely that this was where one of the little blighters got its teeth into me…. So, the antibiotics have stopped and I’m waiting for a neurology appointment. My symptoms over the last 6 months have worsened. I get tired so easily now. If I get to sit down during the day there’s a good chance I will fall asleep. All my joints ache, especially my lower back and my elbows. It feels like my arms have lead weights attached to them. I get headaches regularly. I get irritable and emotional and worst of all people around me have noticed that in the evenings, or when I’m tired I start getting a bit stuttering and fall over my words a bit. I can’t concentrate as easily and it takes time to get my words out properly. Finally after 6 months my appointment to see a neurologist came through. I’d been warned by people at Lyme Disease UK not to get my hopes up too much though. The chap I saw this week (May 30th 2018) was actually really nice. He really wanted to help but explained that it’s a very complicated condition and not much is known still in the UK about it. We talked about my symptoms and he did a few response tests and checks and said that he’d like to order a full brain scan next. His aim is to gather as much info and evidence about me and my condition as possible before looking at ways that, hopefully, we can treat it. I left feeling optimistic but frustrated. What really gets me is that I know something is wrong with me and it’s got worse over the last 6 months. People I love can see something is wrong, doctors admit there is something wrong and yet no one can tell me if it’s going to get better or worse or even how we can try to deal with it. It’s very upsetting and distressing and I can only imagine how other sufferers feel who have symptoms even worse than mine. For now I can only plod on and do what I can to help spread the word about Lyme to others. I am a brand ambassador for Craghoppers who make a range of insect repellent clothing and are keen to help promote tick awareness and have also been talking to the wonderful people at Lyme Disease UK about ways we can help. 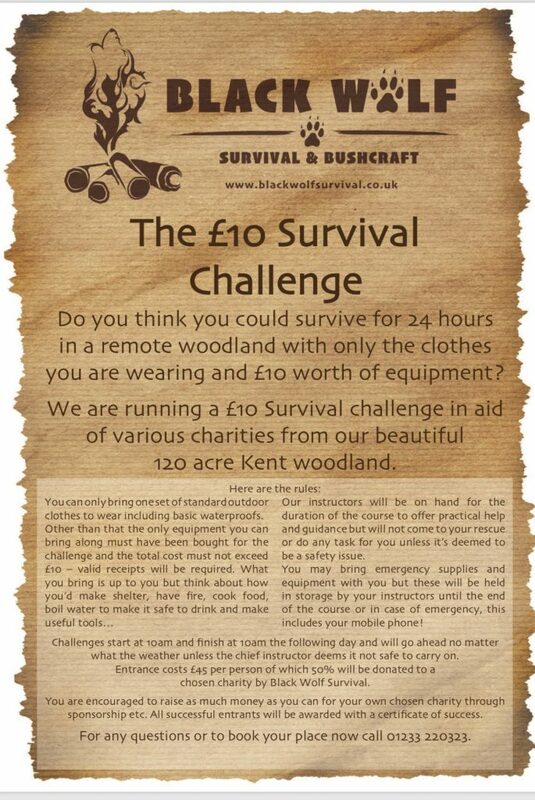 I recently arranged for Lyme Disease UK to have a free stand at this year’s Bushcraft Show where they were helping inform people in the outdoors community and I am also running a Survival challenge through my company later this year where we are raising money for Lyme Disease UK as well. As for me, we shall see what comes of the brain scan and go from there I guess. I’ll keep working as I love my job and will never stop fighting and maybe, just maybe some good will come out of all if this. We are so grateful to Craig for his support and wish him all the best with his recovery.